Search Results for "husky two"
Wife brought coffee to her husband who was sitting on the sofa. Two Huskies are sleeping on the bed next to the owner. 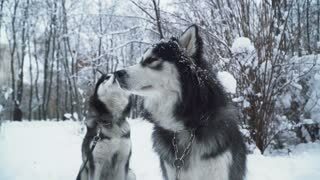 Two beautiful husky with iron collars sitting on the snow in the park. Dogs on a winter walk. Young woman strokes two beautiful siberian fluffy huskies with different color eyes on the snow forest background. Dogs on a winter walk in the forest. Husky dog playing outdoors. Two beautiful husky dog standing in the yard. Summer. 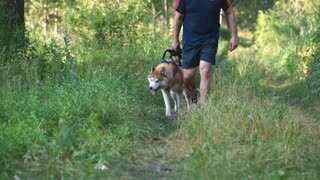 A man and a woman walking with huskies holding them on a leash pass by each other in a winter snow-covered park. Dogs on a winter walk in the forest. 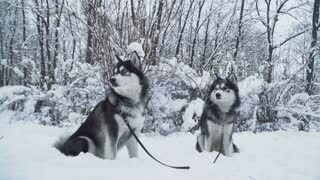 Two husky sled dogs in their harness in slow motion waiting to start dogsledding on a mountain trail in the snow. Two huskies from a dog sled team look toward the camera. Two husky sled dogs eating snow for hydration while dogsledding on a mountain trail in the snow. 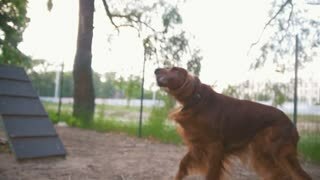 Two husky sled dogs barking and jumping around in slow motion excited to start dogsledding on a mountain trail in the snow. Models await appearance on the runway on backstage in fur coats and with two husky dogs. 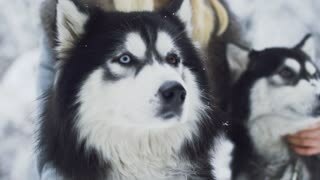 Two husky sled dogs in a dog pack with dark fur and people petting them while dogsledding in the snow SLOW MOTION. Two husky sled dogs with people petting them excited to start dogsledding in the snow.